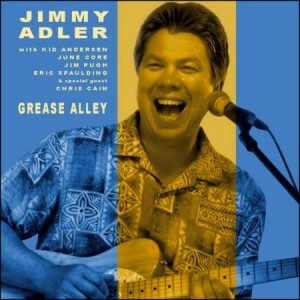 Jimmy Adler’s Grease Alley is a fine disc mixing styles from the West Coast, Texas and Chicago blues into one smooth and quite listenable set of tunes. Recorded at Kid Andersen’s Greaseland Studio with Kid producing and playing bass, June Core on drums, Jim Pugh on keys, and Eric Spaulding on sax. As if these veterans were not enough, Jimmy added Chris Cain to the mix (who appears on a pair of songs). All originals, Adler showcases himself, his new music and the band quite well here. Things start off with a swing tune reminding the listener of perhaps something from Antones. “Say It Like Magic Sam” is a cool cut with Jimmy and the band setting a high bar for the CD. He gives us some T-Bone Walker-like riffs in the beautiful solo he does in this mid-tempo swing with some nice sax added. The title track follows with another mid tempo song where we go a little West and a little to New Orleans stylistically. Adler mixes it up, though, as he throws in some traditional and folk references to the cut. “Drank Too Much” and “No Pain” bring us from California to the Midwest. The former has a mix of styles but gets us started to Chicago while the latter is beautiful, greasy slow blues that might come from the West Side of town. 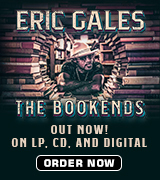 Chris Cain is featured here and the guitar work is impeccable. “Nine Behind” follows with a bouncy groove. A big piano solo is followed by a guitar sole to make this tune sweet. Next up is “I Can’t Wait” which is a rocking swing tune with great Chuck Berry/T-Bone Walker guitar work and some pretty sax play to spice it up. “Ease Me Down Slow” is a slow little piece where Adler laments if he has to be dumped then to do what the title says. Thoughtfully paced, Jimmy gives us another well thought out solo. “Cornbread and Lima Beans” picks up the pace as Adler lays out a faster groove. Another solo by Adler stings and swings well. “Love Was Worth These Blues” begins with a piano tinkling and lamentful guitar to set the tone for this slow blues ballad. Adler’s solo is pensive and thoughtful here. Things stay down tempo with “What I’ve Done”where guitar and organ blend for good effect. The band is in full swing on “Cordelia” where the west Coast style is fully developed. Horn, keys and guitar are slick here. Big guitar and sax solos are also featured. Chris Cain returns in “What Will You Do” as things take a turn towards Chicago. Guitar and piano are spicy and well done in this one. “Hoodoo Highway” closes the set with some slide. A romping, high energy cut that drives fast and takes no prisoner is a great ending to this album. The sax solo blares, Adler comes back for a verse and then offers up the final, big guitar solo. Jimmy Adler hails from Pittsburgh and has played the area since the 1980’s. His presence has been felt across the country and beyond, with many festivals and tours now under his belt. This, his 4th CD, may be his best and showcases him and the fine musicians Andersen put around him. 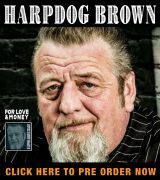 If you like blues with a little swing to them then you will surely enjoy this one! Jimmy Adler will not disappoint you!